Over the past few months we have seen it all over our Facebook newsfeeds, the Ice Bucket Challenge. Some of us are annoyed that it has been the only thing we see. Others don’t mind it because they know it is for a good cause. BUT IS IT FOR A GOOD CAUSE? Protestors say people are wasting clean water to avoid having to donate. The numbers speak differently. The Ice Bucket challenge has generated more than $100 million in donations, not to mention how much awareness it has raised. Like many others, I didn’t even know what ALS was until the Ice Bucket Challenge appeared. Just what does the Ice Bucket Challenge have to do with PR? If I were the PR person for the ALS Association, I would be rejoicing! Their goal is obviously to raise the awareness of ALS and generate donations and the challenge did EXACTLY that. The only problem is that the PR person did nothing. Their goal was met, but not by them. A group of friends started the challenge, meant to be just between them, and it went viral. Now, according to a Huffington Post article, nonprofit organizations are rethinking how they are spending their money, meaning they want to cut back their public relations budgets. Are we going to lose job opportunities because of this? Organizations are now thinking that maybe they don’t need to spend as much money on public relations efforts. They believe they just need to come up with a creative way to generate buzz about their cause. 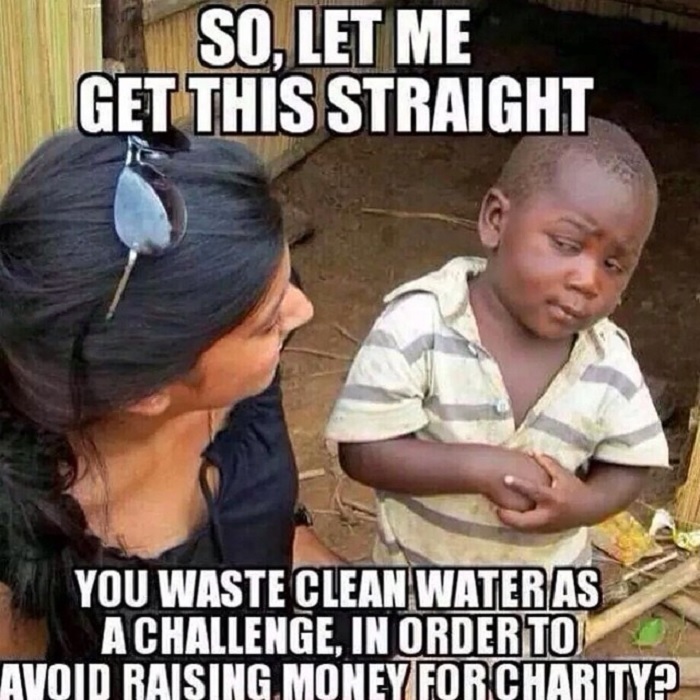 The problem with this is that, yes, it will work sometimes, but this “accept a challenge or donate to charity” is just a fad. Although I agree that it is an awesome thing to raise awareness, I just don’t agree this tactic is right for every organization. There have been attempts to imitate the Ice Bucket Challenge. An example of this is the Rubble Bucket Challenge. This is to raise awareness of the aftermath of the airstrike against Gaza. Instead of using freezing water they are taking buckets of rubble from the streets and dumping it over themselves. While it generated some buzz, it didn’t generate enough. This is just one example of a failed Ice Bucket Challenge imitation. Because of this I don’t believe that nonprofits are going to be cutting back their public relations dollars like the article said. Instead, I believe they are going to want to spend more. The Ice Bucket Challenge for ALS was a coincidence. Those people who started it did not know it was going to be so popular. That isn’t going to happen for everyone. Organizations are going to want to hire creative minds to think of similar ways to generate awareness and donations. Who knows better than public relations folk? Enjoying our blog posts? Get more by “liking” Innovative Public Relations on Facebook and “following” us on Twitter.